Organic cime di rapa. Seize the chance to sample these quirky greens. 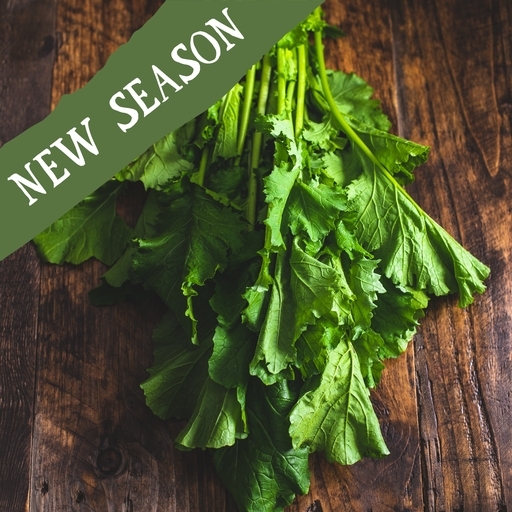 Also known as rapini or broccoli rabe, cime di rapa is prized in Italy for its succulent sweet leaves with a slight lemony bitterness. Classically sautéed with garlic and chilli, mixed with a dash of cream and tossed through pasta with plenty of Parmesan on top. Good as a side green or added to dishes in place of spinach or kale. You can use both the leaves and stalks, but add tougher stalks first to give them a head start.